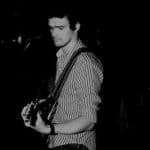 As I stood staring at the shelf a voice drifted by. ‘I know what you’re thinking!’ … ‘What’s that then?’ I replied. ‘You’re thinking, I want it, but I don’t want it‘. The voice belonged to Paul Fairley of Fairley’s Wines, my local bottle stop and he had hit the nail on the head. I was in a bit of turmoil. Turmoil over what exactly? As luck would have it I had wandered into Fairley’s just as they had received a delivery of Dingle whiskies: batches 1 and 2 of the single malt, batch 2 of the cask strength single malt (a relative bargain at just £149.99… cough, cough) and then the one I was eyeing up and was making me question my sanity – soon to be a unicorn whiskey, sought after by collectors and enthusiasts alike: the first release of the Dingle Single Pot Still. Why was I in turmoil over this bottle? Mainly the price to be honest. It was £99.99, not cheap for a 3-4 year old whiskey. Then again it was relatively unique. 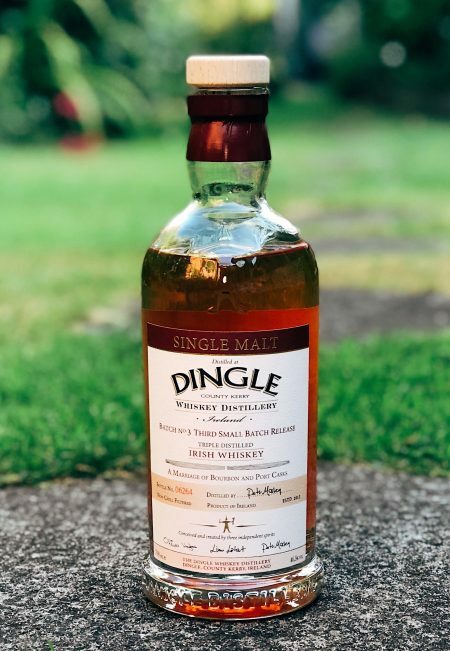 By releasing the pot still, Dingle had become only the second distillery in Ireland to both produce and bring to market a pot still whiskey. The other player being Midleton, who since the release of Redbreast in the 1990’s effectively had a monopoly on Irish pot still whiskies. So the conflict was this. I really hadn’t planned to spend £100 on a 3 year old whiskey when I set foot in the shop. Much like fellow Malt writer Adam, for me the £100 mark is a ceiling rarely broken and needs good justification. So I considered my options for the same money: Glendronach 21 year old, Glengoyne 21 give or take a few quid, Caol Ila 18, any of the Teeling Revivals, Bushmills 16 with change for a bottle of Red Bush (joking obviously about that one), Redbreast 12 Cask Strength. Heck, the options were nearly endless and I would have been buying quality drams with relatively hefty age statements (although as we know age statements do not necessarily guarantee flavour or quality). So if the expense was the reason not to purchase, what reasons did I have to actually buy the bottle. Firstly, curiosity. I was genuinely intrigued by it. I was wondering how it would compare to anything from the Midleton stable and also whether it was worth the asking price. Secondly, this was a very much sought after bottle. Only just 800 bottles were produced and they were proving to be like hen’s teeth. Enthusiasts all over Ireland were scrambling like mad men to get one, so this could be my only chance to own one as prices in the secondary market were already upwards of £250. Third but definitely not least was that I didn’t want it to fall into the hands of a flipper or collector… I wanted this stuff to be opened, shared and enjoyed. I think the third reason pushed me over the threshold and the purchase was made! Why the high costs involved for such a young whiskey you may ask? Dingle is probably the epitome of boutique here in Ireland. It produces around 800 litres of spirit a day – around 2 casks worth. Since its first spirit run in 2012 that means that to date Dingle has produced less spirit than Midleton make in a day! Factor in that they only use their casks for maturation once and you can see why prices may be high. Plus in Springbank fashion, all the bottles are hand filled and hand labelled. A nice touch I think. On to the liquid in the bottle then. 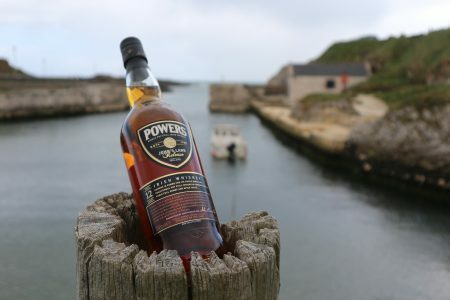 It’s triple distilled pot still (malted and un-malted barley mashbill), matured exclusively in Pedro Ximenez sherry casks and is bottled at 46.5% abv. Dingle also does not use artificial colouring or use chill-filtration. Just to add to the fun for this review I sent a sample to Malt’s most difficult to please member, Jason, to get his tuppence worth. On the nose: on first nosing there is quite a spirity kick indicating its youth but this calms with time. Then come aromas of draff, oak shavings, sandalwood and a bit of wet cardboard. There is an almost vermouth like quality here, notes of herbs and dried peels. Baked figs with honey and a salted caramel top note. In the mouth: medium bodied and slightly oily. On arrival there is a hint of sweetness from the sherry that quickly turns dry, musty and tart. Not at all what you’d expect from PX maturation. Some frangipane mixed with orange peel and bitter pith, there is that herbal bitters quality from the nose.. akin to a negroni like tartness, cacao nibs and a little envelope glue. From here the pot still spice and heat take over. The finish is short and of salted bitter dark chocolate. On the nose: immediate redness with rose petals, cranberries, red liquorice and rhubarb. This suggests the young spirit and cask have yet to form a workable marriage. Sweet potato peelings, rubbed brass, almonds, honeycomb and plenty of shortbread suggesting cereals and sugar. There’s a nice density to it though. Sliced malt loaf yes and the addition of water sands down these characteristics. Maybe a little cherry now, wood chippings but little else meaning water really isn’t beneficial. On the mouth: subtle, not robust or forceful. It’s very drying towards the finish after the initial burst of sweetness, then that bitterness midway. It becomes quite tannic on the finish, which doesn’t hang around long. Returning, some syrup and hazelnuts. A drop of water brings out more buttery almond oiliness. Freeze dried raspberries bring a touch of sharpness along with marzipan and an egg yolk quality. In short, not quite the sherry bomb I was expecting but interesting all the same. The colour and aroma would suggest a very active maturation but the palate just doesn’t quite marry with the nose and there is this disconcerting bitterness mid palate that just takes the sheen off proceedings for me. I think that the spirit is overpowering the cask at this point and could do with a couple more years of maturation at least. However, this does show that Dingle is making a robust and characterful pot still spirit and that bodes well for the future. Was it worth the £100? In a word, no and at that price it’s unlikely I will be able to keep up with future releases to keep tabs on its progress unfortunately. Keep an eye though for the single malt review in the future… it is more successful, in my opinion. This underlines the forthcoming issue in Scotland with distilleries releasing at 3 years of age when clearly it’s not ready. There are economic reasons and the necessity to keep investors happy. Wolfburn, for instance, hasn’t done itself any long-term favours with some rather inept and bland whiskies. Things will improve, but the brand and legacy has become a little tarnished. There will be other distilleries that follow suit. For Dingle, I don’t know their financial arrangements and whilst this isn’t bad, it’s overpriced, somewhat limited and just not ready. The mark-up here does push the boundaries of realism and you can blame the secondary market and collectors for driving up these prices – rather than distilleries for taking advantage of the lunacy endemic we’re seeing nowadays. It’s drinkable yes with some promise, but it’s not whiskey as we know it, Phil.